Starting a franchise is an interesting choice to make if your first instalment is considered hot property. You’re inevitably setting yourself up for a fall when the people return and bemoan the fact that “it’s just more of the same” or “why isn’t it more of the same?” Yes, people are indecisive, unappeasable drones it would seem. Some sequels do pull off the feat though and return even stronger. Some even go on to merit a third instalment, but these are rare beasts. Even rarer is the “threequel” that pulls it off. Look at Terminator – it didn’t fare too well! And time will tell if Iron Man 3 can achieve the hat-trick. But the Die Hard franchise IS that rare beast that produced three stunning instalments time after time. Hell, it even managed to throw in Die Hard 4.0 a few years back and it still hit all the right notes. But how does A Good Day To Die Hard fare? Can it really accomplish the lofty goal of being a smash-hit the fifth time around?! I am a massive fan of John McClane and Bruce Willis. The guy’s a stalwart of the cinema and has been in some of my all-time favourite films and my pick of last year’s releases in Looper. 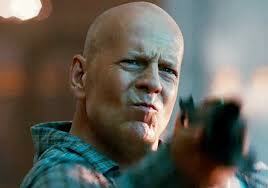 The character of McClane has always struck a chord with me. He’s been the cop in the wrong place in the wrong time all the damn time. Die Hard and Die Hard 2 are some of the finest Christmas movies you’re likely to see and Die Hard With A Vengeance? Well, that’s just pure gold. Pairing Samuel L. Jackson with Jeremy Irons and Willis makes for a damn good time. Hell, in Die Hard 4.0 Willis proved he could still bring the goods, even if it wasn’t quite up to the original trilogy’s heady heights. He smashed a car into a helicopter… a HELICOPTER. Good man. But what of number five? Well… it just isn’t Die Hard is it? We have to move onto Willis here. It hurts me to say it, but he just didn’t seem that into it this time around. There were some beautiful set pieces, but the writing left a hell of a lot to be desired. Lines were shoe-horned in, or repeated ad nausem so much that that dead horse was well and truly flogged to a pulp. Alarm bells have been sounding everywhere about this movie even before release for a couple of reasons: 1) why no advance press screenings and reviews before release?, and 2) this interview with Bruce Willis on the UK’s One Show (part 2 is here). This didn’t look like the Bruce that was enthused about a movie… he didn’t want to talk about it one bit. Humble? Possibly. But more believable is the fact he wasn’t convinced of the movie’s worth. If you’ve got a star that’s not sold on a role, then it doesn’t bode well. So who’s to blame for this sub-standard entry in the franchise? You can spin a bottle like some depressing game of truth or dare where no-one gets a smooch and a cuddle to be honest. People will have different issues with the movie, but for me it falls directly in the writers’ laps. The script is weak and the plot is even worse. This is from the guys that brought you Hitman, X-Men Origins: Wolverine and The A-Team. Not all of them are stinkers, but they’re certainly derided by an equal-to-greater number than the people that enjoy them. Ultimately, this isn’t Die Hard. 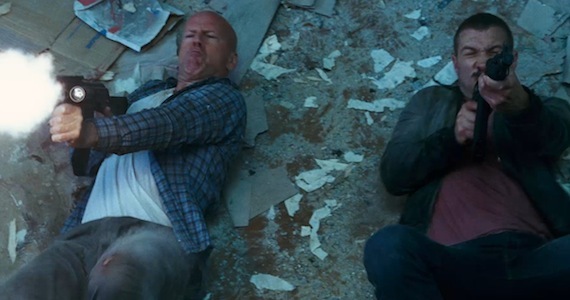 This is some other action movie featuring Bruce Willis playing an action hero… of sorts. I refuse to believe this is the fifth instalment in what has been an immensely successful and enjoyable franchise. If you’re a fan of the series, this will undoubtedly disappoint you. In fact, I struggle to even know anyone that would enjoy this above a level of “generic action movie”. Sure, it has all the whiz, bang and bluster you’d expect… but not much else. He doesn’t even wear a vest. So what’s next for Die Hard? Is this is? Is this the final episode? Is John McClane going out with a fizzle? I hope not. Willis has indicated he’d be up for doing a sixth instalment, but please for the love of God hire a good writing team. Ideas for titles? How about Old Habits Die Hard and not How To Make A Franchise Die Hard, which should have been the title here. 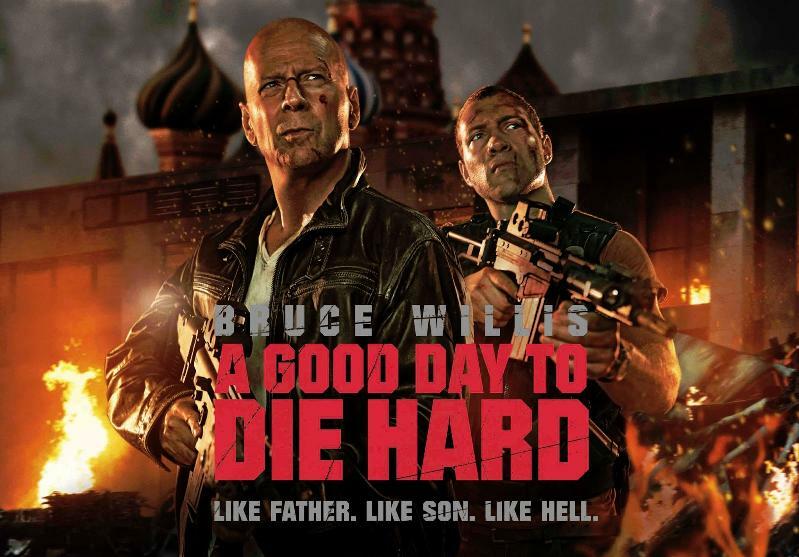 This entry was posted in Review and tagged A Good Day To Die Hard, Bruce Willis, Die Hard, Die Hard 5, Die Hard franchise, Jack McClane, Jai Courtney, John McClane, Russia, sequels, UK edited version, Yippee-Ki-Yay. Bookmark the permalink. Wow! This thing is getting hit pretty hard. I hate that. I’ve been such a big fan of the series. Still plan on seeing it this weekend. I just don’t think I’ve been this disappointed by a movie for quite some time. I try not to hype things, but I can’t help it. I swear that if Iron Man 3 tanks I’ll cry. It can’t though… can it? Definitely go and see it though – I’ll be interested to see if you fall into the same camp as me. Well I am going to see it but I’m very worried about it. And it’s such a good formula it’s hard to believe you could mess it up. But it certainly sounds like they have. I am with you on Iron Man 3. I have huge expectations for. That could be dangerous for me. 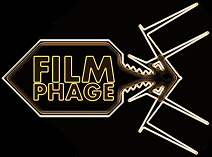 I guess you could say this installment is out of phage with the others. Loved you staying up past 10pm line. Great review. Another bad review….well I mean your review is great but the movie stunk. I’ll wait for it to come out on VHS. Good review. This movie blows, and is a big slap in the face to the Die Hard franchise, even if they haven’t all been amazing. I think your comment is the most concise and accurate way of describing the movie dude! We’re pretty much in agreement. I gave it a 1.5/5 because I like Willis as John McClane but really this franchise should die hard already! Thanks for dropping by Ruth! See, I’m with Keith… I don’t want it to end like this. I’ve got too many fond memories of John McClane doing what he does best for it to end so horribly. 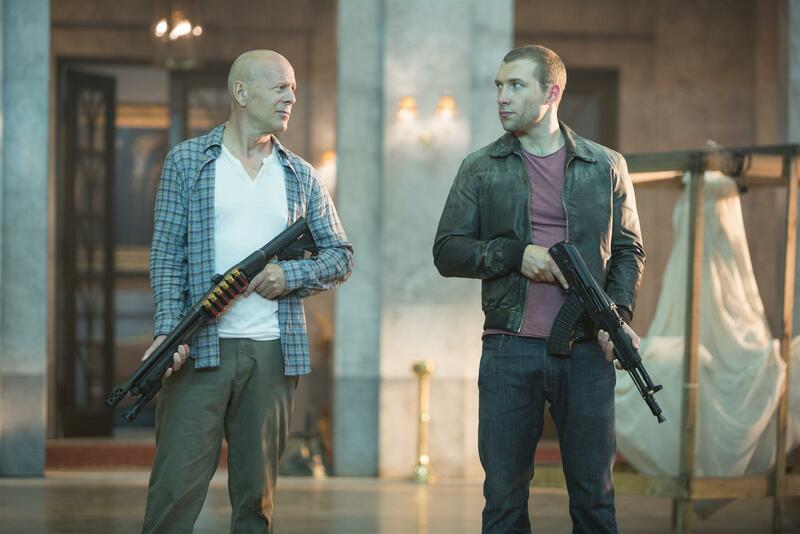 Scrap Jai Courtney and let us have McClane back in NYC! Aw, poor Bruce haha. I think I’ll give this one a miss – BRING ON RED 2! See… Red… that’s another franchise I’m not entirely behind either. I wasn’t offended by the first one, but didn’t think a sequel was merited… I say bring on Hartigan again in Sin City: A Dame To Kill For… yes please!